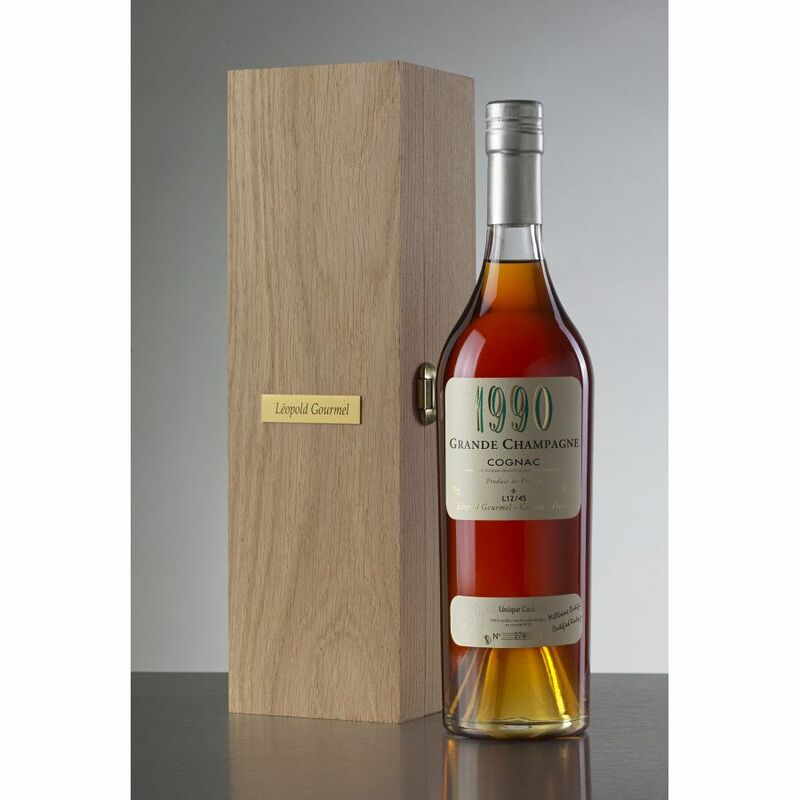 The Leopold Gourmel Vintage 1990 Grande Champagne Cognac is a lovely cognac from this quality house. Certified as a vintage from 1990, this is from the premier cru of the region - Grande Champagne. Presented in a traditional style cognac bottle and wooden box, this is a cognac for those who appreciate the finer things in life. The aging process has allowed the colors to deepen, and as such this is a cognac that teases every one of the senses. Deep amber to the eye, tantalizing aromas on the nose, and on the palate it thrills with its silky feel and the melange of flavors. And of course, that all important finish, which in this case is long, persistant, and ultimately satisfying.